Brazil superstar Neymar decided France was the place to be in summer 2017 but you don’t have to be in the country to watch Ligue 1 online. Bet365 live streaming can bring you Neymar and his Paris Saint-Germain teammates, including the likes of Angel Di Maria, Kylian Mbappe and Edinson Cavani as they look to reclaim the Ligue 1 title from 2016-17 champions Monaco. Monaco became one of Europe’s most-admired teams with their shock run to the latter stages of the 2017 Champions League, with a youthful side playing thrilling football that eventually conquered the domestic competition even against the financial might of PSG. Money talked when Mbappe moved to the capital but Radamel Falcao remains to lead the line for the Red and Whites. Outside of PSG and Monaco there are the likes of Nantes and Nice, who respectively have Claudio Ranieri in the dugout and Mario Balotelli in attack, and Lyon, who host the 2018 Europa League Final in their magnificent Groupama Stadium. With seven different winners in the last 10 years, Ligue 1 is one of Europe’s most competitive divisions. Ligue 1 has been a breeding ground for some of the game’s greatest players and with France among the favourites to win World Cup 2018, there’s no better time to follow the action game-by-game. 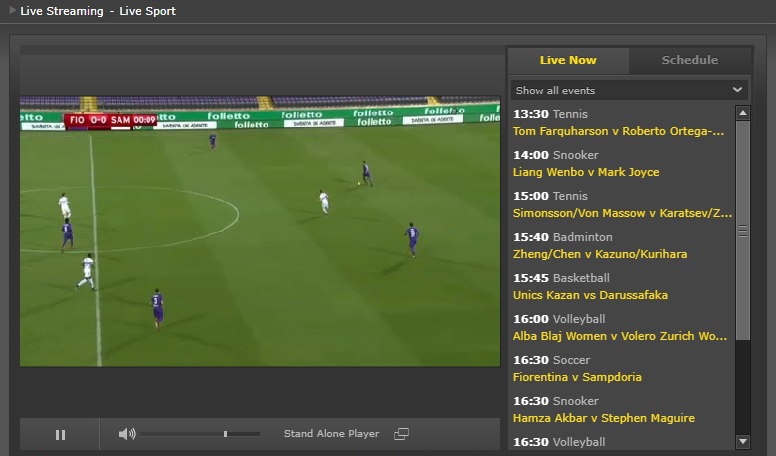 Watching Ligue 1 online couldn’t be easier with bet365 live streaming. Signing-up takes only a few minutes and once completed, all you need is a funded account. First, go to bet365.com and use the Join Now link, which you’ll find at the top right of the homepage. From here, you need to fill in your details, such as your country of residence, contact information and address. You also need to pick a log-in name and a security number, which you’ll use if there’s ever a problem with your account. Once your account is verified and funded, it’s simply a case of following the link to the live streaming page and from the pop-up window selecting the event you want to watch. The schedule will tell you what event is coming up, too – geographic restrictions may apply.